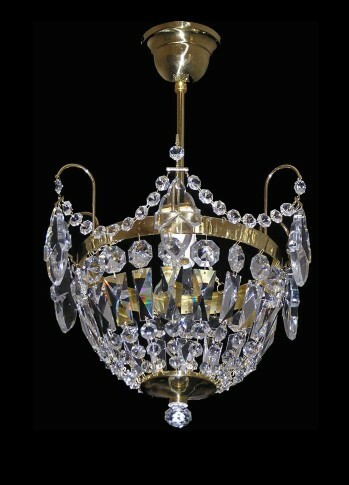 The smaller crystal light suitable for a smaller bedroom, to the apartment or hotel corridor and the like. This beautiful lamp fits into places with a lower ceiling. 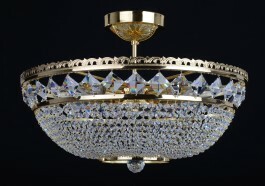 The decorative basket crystal ceiling lamp. 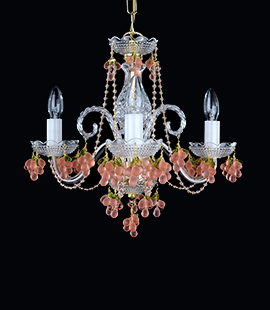 Dimensions (W x H): 35 x 52 cm/ 14.3" x 21.22"
The chandelier comes with the brass hanging rod and ceiling rose (can be exchanged for chain). 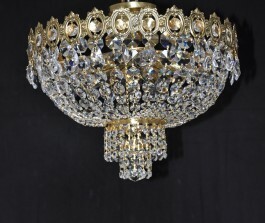 You can order metal finish: Silver (nickel coated brass), or pure gold Brass.